Become the Authority on Wedding Receptions! 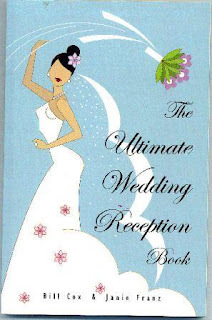 The Ultimate Wedding Reception Book will save you time, money and greif as you plan your event. Written by a leading womans writer along with a Wedding DJ with over 2,000+ events of experience. You get both, experience and insight on how to make your event the Ultimate Wedding Reception!